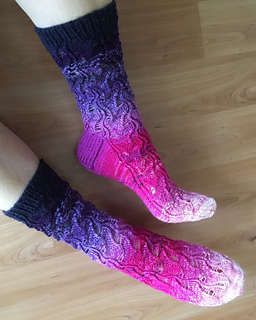 This pattern is available for €2.50. 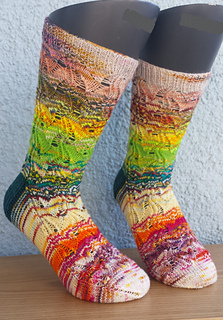 This pattern is a warm-up sock for the Sock Madness Forever group. 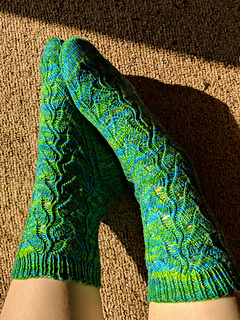 13 Memories wil be available through the redemption link from Feb 8-28, and for the public once the Sock competition is completed, somewhere around June. 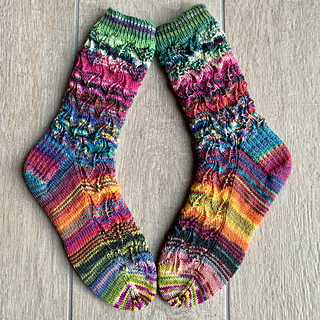 A top-down stripey sock with an eyelet lace pattern using 13 mini skeins or leftovers to complete the madness. 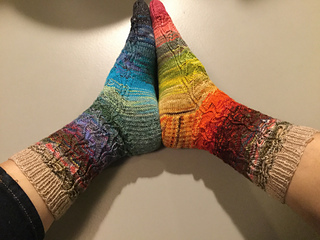 The heel is a regular heel flap, the striping/fading continues through the gusset all the way through to the toe. 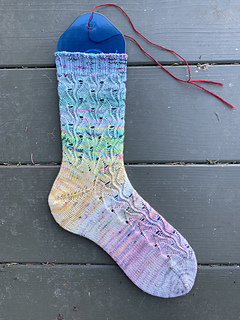 66 sts (one size only, so you may want to change your needle size to accommodate your feet if necessary), length woman’s medium; 8.5 inches. 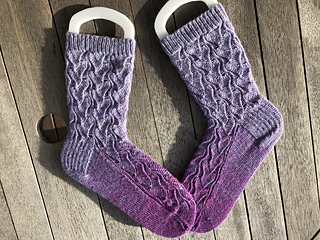 Included in the instructions is a tip how to lengthen the sock by adding a segment by the heel. 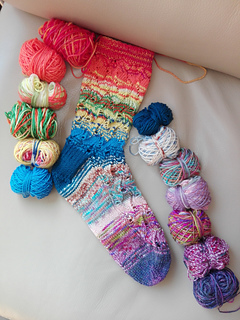 Since we are using 13 colours, 6 will be on the leg, one for the heel and the other six for the foot. 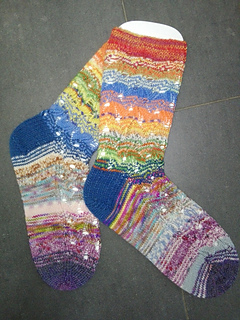 You will need more yarn for the heel colour than for the other stripes. 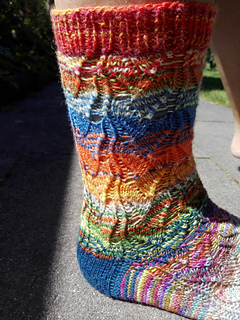 Don’t be scared to use multi-coloured yarns and self-striping yarns, these only make your socks more interesting!